Share Sexteto Tabalá de Palenque's EPK! 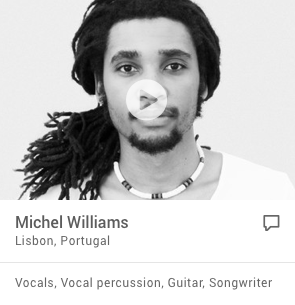 SEXTETO TABALA was performing at OFFICIAL SHOWCASE WOMEX COPENHAGEN 201O, as one of the 36 WOMEX SELECTION ARTISTS that were chosen by Seven Samurais Jury Among 700 other aplications from all over the world. 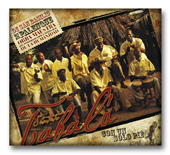 Sexteto Tabalá is one of the most representative expressions of the afro comunities in Colombia, as it is a compendium of all musical genres of San Basilio de Palenque, first free town in America. This music is part of the cultural expressions that has been declared Masterpiece of the Oral and Intangible Heritage of Humanity by UNESCO-2005. Sexteto music is a mixture of Cuban son with afro colombian rythms like bullerengue, baile cantao, porros, cumbia and funeral rituals. The sexteto is a rythm that colectsits origin in the deeper source of afor cuban son, the changui or nengon, wich arrives in Colombia thanks to the sugar mills led by cuban, songs that were shared with the Palenqueros in the quiet moments after the work. By this way the Sexteto music was adopted by Tabalá in the 1930´s, to the point that was mixed with local others styles to create a new musical genre: The afro Colombian Sexteto, very different from initial Cuban model. 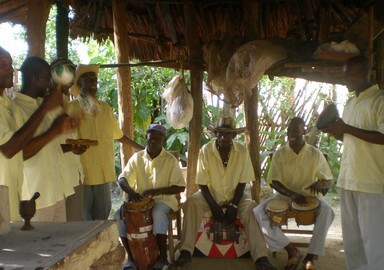 In Colombia the Sexteto musics is played with these instruments:Marimbula, bongo, timba,maracas, claves,guacharaca, alead voice or primo a second voice andbacking vocals. Tabalá has played in so many festival and countries and now is featuring new disc recorded AT KONCERHUSET by DANISH RADIO COPENHAGEN as WOMEX 2010 OFFICIAL SELECTION ARTIST !